We try to put the child in touch with those “sources” through which God reveals and communicates Himself in living form; namely, the Bible and Liturgy, in balanced proportion. 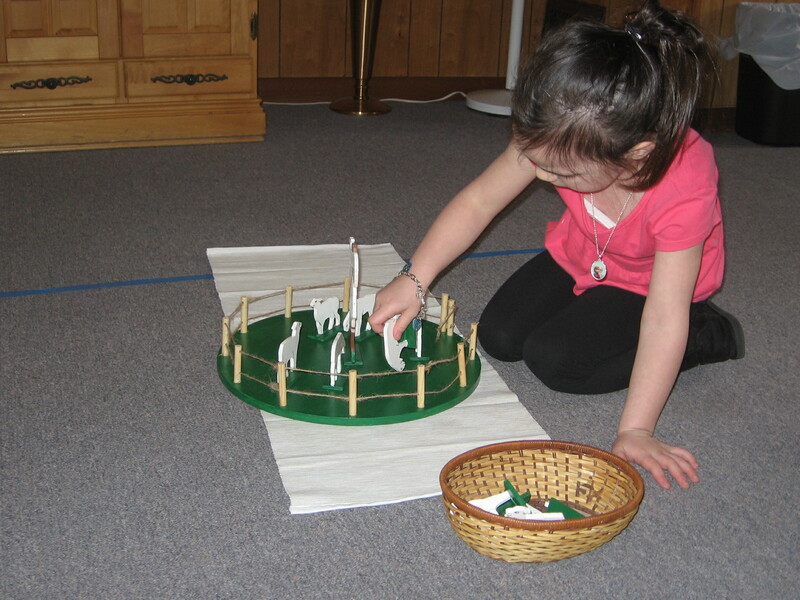 Developed by Sofia Cavalletti, an Italian Hebrew scripture scholar, building on the work and methods of Maria Montessori, the Catechesis of the Good Shepherd presents age-appropriate themes from the Bible and our liturgy with manipulative materials that the children use to internalize and ponder the great mysteries of our faith. Catechesis take place in an atrium, specially designed with child-sized furniture including a prayer table for gathering, a model altar, as well as materials to deepen their familiarity with Christ’s parables and the Mass itself. contact us at 856-939-0592 or faith@holychildparish.net.